Unlike the first two seasons of So Weird, when it was abundantly clear exactly where the Phillips tour bus was and how it ended up from one place to another, the third season has Annie and the Phillips family bouncing around quite a bit. Given the recurrence of Adrienne Carter and Tegan Moss as, respectively, Chelsea and Rhonda, season three has developed a certain desire to do the show at the technicolor high school, or at least within the new home in Hope Springs that Molly purchases after selling the old cabin/studio. That makes a certain amount of sense for a show that’s starting to age — having a few standing sets to reuse for stories instead of trying to recreate a piece of America every week (in Canada, mind) allows for faster production, which in turn means that the show is cheaper to make. With “Babble” and “Mr. Magnetism,” So Weird sets out to prove that it can settle into a location if needed. Both episodes also fall into the third season’s unfortunate pattern of privileging guest stars over the regular cast, but this time it works to better effect than most previous efforts. “Babble” reneges on Disney’s previous insistence that So Weird not do an “issues” show by cleverly tying the Biblical story of the tower of Babel (which was left unfinished after God struck its inhabitants unable to communicate with each other because they all started speaking different languages) to the modern-day issue of dyslexia. The plot device is a piece of rock guest character Roland (Jesse Moss, who has one of the more entertaining IMDb pages of the guest actors on So Weird to date) is carrying around in his backpack. When Roland is bullied or agitated, the rock glows, and people start speaking in ancient tongues. The show unfortunately passes up an opportunity to call back to “Rewind”—when Annie heard the language of the Amazonian tribe that ties so closely to her panther guardian—but trades in myth-arc business for an additional scene where Molly explains that she, too, has a mild form of dyslexia. It’s a light form of the Very Special Episode, but “Babble” hits on a few good talking points about the diagnosis, particularly in the scene with Molly as she explains in plain terms her own struggles with learning how to read. “Mr. Magnetism” is an entirely different beast. It functions almost as an inverse to “Second Generation,” the second season episode that introduced Fi’s love interest (who also happened to be a clone of his father, natch). Whereas the Fi episode was a love story twisted ever so slightly by science fiction, “Mr. Magnetism” has Annie trying to help a guy who ultimately proves to be every bit the comic book supervillain he initially appears to be. Throughout the episode, there’s talk of what attracts people to other people (the titular character, played by Craig Olejnik, is portrayed as physically attractive and desirable through the eyes of Chelsea and Rhonda), but it’s more interested in hitting the main beats of the superhero/supervillain origin story. In the case of Zach Stewart, alias Mr. Magnetism, he’s attempting a complex science fair project that involves manipulating magnetically charged objects. One night, however, he accidentally gets fried by his machine and gains the power to repel and attract magnetically-charged objects on his own. Annie tries to save him from himself through a rewritten song she sings at the conclusion of the fair (a good one, too, though not Johnson’s best by a long shot), but it’s ultimately Zach’s wounded pride and power-hungry ego that brings the lights of the cafeteria crashing down upon his head. There is one minor myth-arc piece of business in “Mr. Magnetism” though. 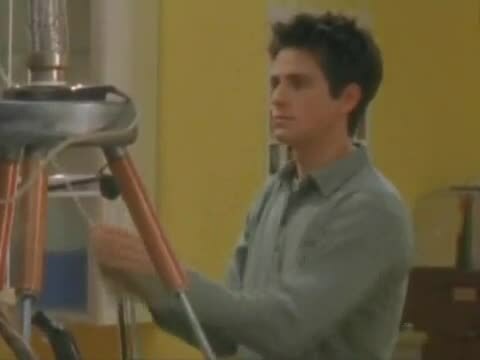 In two separate scenes near the beginning and end of the episode, she runs out of the science lab after failing to have a reasonable conversation with Zach. 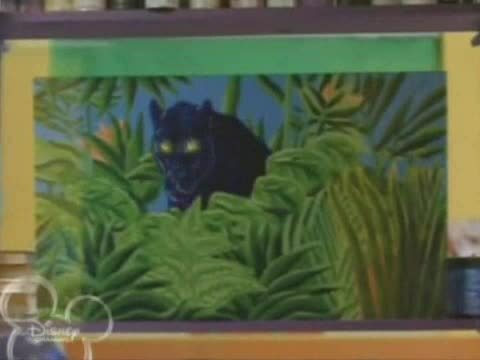 As she does, she runs past a painting of a panther in the jungle, who becomes animated and watches her leave. It’s a small detail, but this marks the third time in almost as many episodes that the panther has made an appearance in an episode, which coincides with increased fervor surrounding the nature of his relationship to Annie. 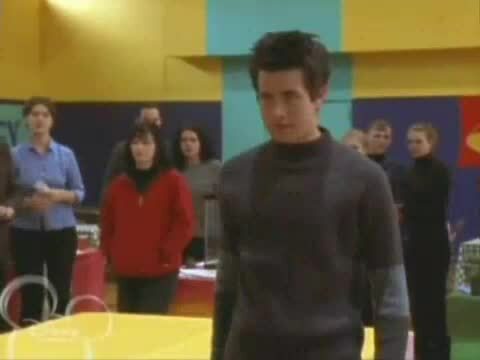 Though the episode could have made it more explicit, while Zach’s pride is certainly at the heart of his undoing at the end of the episode, it’s equally possible that the panther sought to protect Annie (and by extension everyone else in the cafeteria) by limiting the damage to the person causing it. If true, this would make the widest scope of interference the panther has made into Annie’s life. His devotion is unwavering. Disney Channel opted to switch the airing order of “Mr. Magnetism” (which was produced right after “Babble”) and “Gone Fishin’,” likely to break up the school-bound episodes. But these two episodes clearly show the flexibility the writers have in binding themselves to one location. It’s an act of faith made to the network that the show can survive beyond the loss of Fi and the subsequent need to be on the road all the time. If it were any other network, one that didn’t have a 65-episode policy in place, that might have made a difference. Here, it is like Annie’s efforts to save Mr. Magnetism from himself: entirely in vain. Cameron White is a freelance writer currently residing in Arkansas. He writes about television over on his blog, Wayward Television, and tweets about sleeping, or not. 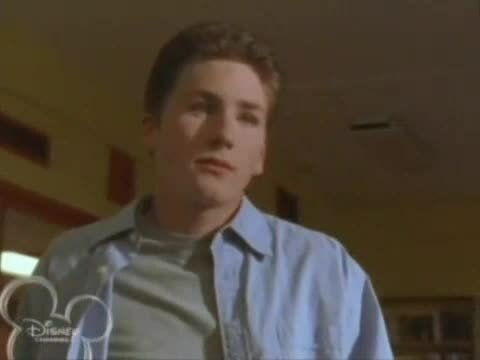 His obsession with television was founded in 1996 by The Disney Channel and fostered by his discovery of Firefly in the summer of 2007. He has thrown books at people before.